Square card with the wording Twins! Double The Joy. 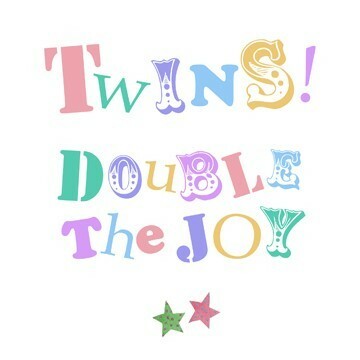 A lovely pastel square greeting card to welcome twins or give as a baby shower card if Mum to be is expecting twins. Supplied with a purple envelope. Finished with sparkling diamante decorations.